MoEngage is a 1:1 User Engagement platform for internet companies, with auto optimization towards higher conversions powered by machine learning. MoEngage helps reduce churn and improve customer lifetime value with personalized interactions across any digital channel like push notifications, emails, in-app recommendations, web push and SMS. Kevin William David interviewed Raviteja Dodda, CEO at MoEngage to know more. Hi Raviteja, Let’s get started! So tell us about what you are working on? We are working towards solving the user engagement and retention challenges faced by today’s consumer internet businesses. 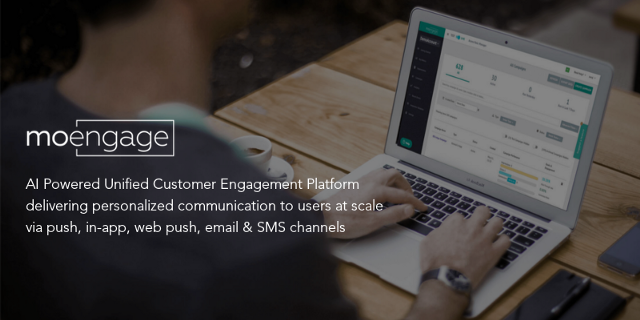 MoEngage is a Unified Customer Engagement Platform, enabling growth teams to engage customers by creating personalized user journeys across any digital channel like push notifications, email, in-app recommendations, web push, SMS to drive conversions and retention. Before MoEngage, I co-founded DelightCircle, which helps consumers discover relevant offers and coupons from local & online stores. I have seen the challenges with high churn and retention first hand at DelightCircle and realized that this problem exists globally across the ecosystem from my conversations with other large internet companies. Most existing platforms have been web & email first, and companies were just sending blast campaigns, creating a bad user experience. This inspired us to build MoEngage, towards solving the user engagement and retention challenges faced by today’s consumer internet businesses. How is MoEngage different from what’s already exists in the market? Our competitors include Appboy, Leanplum, Localytics, Emarsys, and Incumbents like IBM Marketing Cloud, Oracle Responsys, and Adobe Marketing Cloud. MoEngage Cross-channel capabilities across Mobile and the Web, Sherpa AI-based decision engine, Depth of offerings in our core verticals and our Customer Success culture are what sets us apart from our competitors. 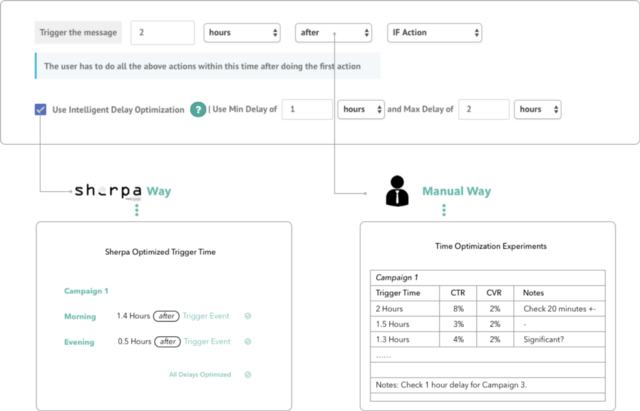 Sherpa, our AI-based decision engine, enables auto-optimization for higher conversions by predicting and sending the right message at the right time. 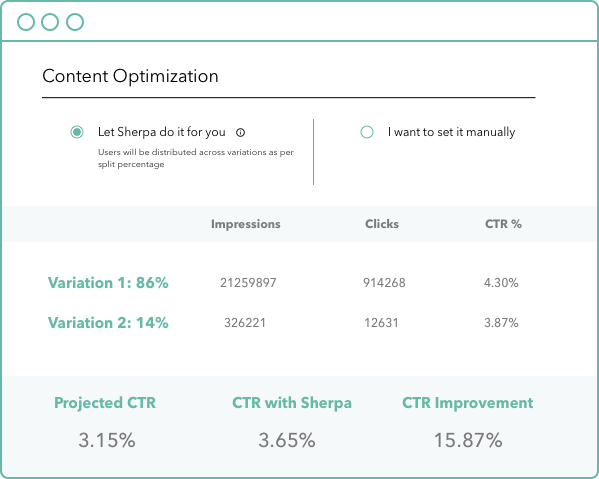 In a Multivariate campaign, Sherpa learns the performance of each variant on the fly by registering user interactions, then automatically drives traffic towards top-performing content. Sherpa completely eliminates the need for the marketing team to analyze and choose manually. Messages are automatically sent to individuals at the time, they’re most likely to view, engage and convert with your message. With our unique AI based auto-optimization, MoEngage has been named as a “Gartner Cool Vendor” in the CRM Retail category globally. Can you tell us a bit about the different customer segments using MoEngage? What types of roles do your customers have at their companies? Growth teams in the companies use MoEngage generally. Growth teams would majorly include Digital Marketing teams and Product Managers in some cases. Our Customer Segments include Consumer Internet companies across E-commerce, Telecom, Media, Travel, Entertainment and Financial Services. How are your customers using MoEngage? Could you share a few different use cases? Customers are leveraging MoEngage to build engagement with users across the user lifecycle from onboarding, engagement & to retaining them. Customers leverage different channels (push, in-app, email & web push) to drive engagement across the user lifecycle. To find out some of the ways in which customers are using MoEngage, check out some of our customer success stories here. Have there been unique use cases for MoEngage that you hadn’t thought of or expected? Yes! Gaana, India’s leading music streaming service used MoEngage’s custom in-app messages to not only deliver their users a seamless onboarding experience but also leveraged the information to deliver a better app experience overall. The onboarding process starts with a customization window allowing the users to set their music language preference, and the onboarding flow has an ‘escape hatch’ — users can skip it at any time. Gaana used the ‘music preference’ data to further tailor future campaigns to users by sharing music information relevant to the genre subscribed by users. Who are some early/key customers? TaxiForSure (acquired by Ola), Snapdeal, Times Internet, Airtel, Vodafone, and Petflow. Focusing on specific verticals and going top down helped us build the category leadership in those verticals and led to customer referrals over time. Our initial challenges have been around building a real-time queryable database which can process, store the huge scale of user actions from our customer apps and answer any kind of segmentation query in real-time. We tested multiple open-source databases like MongoDB and Elasticsearch, extended them to suit our needs and iterated multiple times over the last 2 years as we scale to build what we currently have. Our integrations with Attribution platforms like Appsflyer, Apsalar, TUNE have been pretty effective in helping our customers have all the data from Acquisition data to Uninstall at one place (in MoEngage). With the help of this data, some of our customers have created personalized onboarding journeys through MoEngage based on the install ad campaigns, helping solve the big problem of initial churn. We’re huge fans of Slack, Trello and Github. We use Zendesk for customer support and knowledge base, Salesforce as our Sales CRM (which can improve a lot). We use Hubspot and Drift for our Marketing needs. We use MoEngage for engaging with our customers, and AWS for our infrastructure needs. The interview originally appeared on Siftery – a product discovery and recommendation platform.